In our workshop we build your model exactly according to your ideas and requests whether you are a private client or a professional one. The models from our catalogue are produced in two to four months. However for bespoke models we need time to ensure that we remain proud of our work, our craft. Many years of experience in ship modelling qualifies us in giving you high quality for specific requests whether for a one-off model or for small series. We build display models for various exhibitions, bespoke models for shipyards as well as models for the design of prototypes. What kind of models can we build? We can build all types of vessels, may they be sailing yachts, motorised yachts, sailing ships, cargo ships, cruise ships, war ships as well as any other purpose made vessels. We can build models at whatever length or scale you require. Unique model or small series? If you are interested in small series (we remain craftsmen), we will send you a quote tailored to your specific request. Which documents would we need? In theory, we can work from pictures (minimum required), drawings, CAD or 3D data. Since we have to take into account the complexity of the model, the quantity requested (if small series) as well as our work load, we will only give a definite delivery time upon request. Checking on the construction of your model? 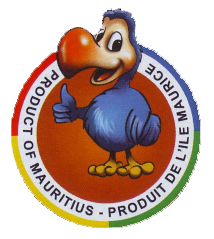 All our models are made in our workshop in Mauritius. But it does not mean that you will only see your model on delivery. Our clients are kept up to date via regular pictures sent during the whole process and thus take part in all the phases of fabrication, which means that amendments can be taken into consideration. The hull is built on a wooden frame or fibreglass for small series. Small parts can be cast in resin, carved in wood or bone, or made in brass, copper or lead. Depending on the type of model, various other materials will be used. Should you have any other queries or if you wish additional information on bespoke models, please do not hesitate to contact us.